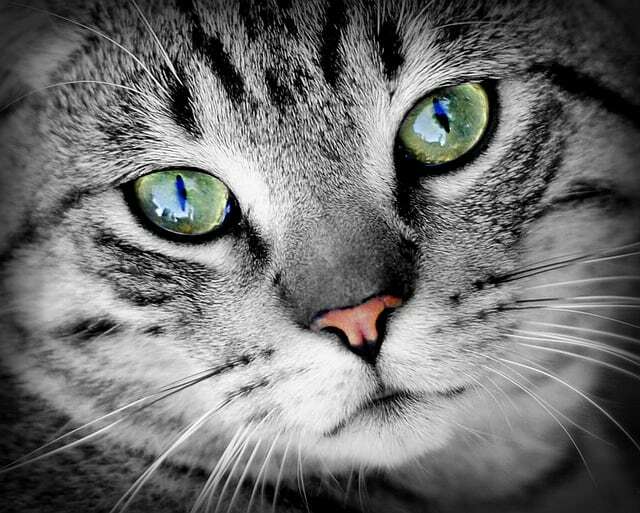 This blog helps you take care of your cat the best way you can! We help you find the best cat furniture and accessories so your fluffy kitty feels amazing all year long. At home or traveling, there is always something you can use in order to make your cat’s life better. 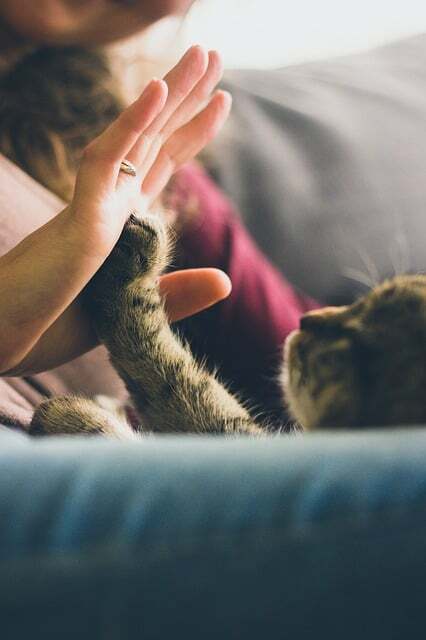 We know how rewarding it is to take care of a cat and we want to share our experiences to simplify your life with your furry friend. 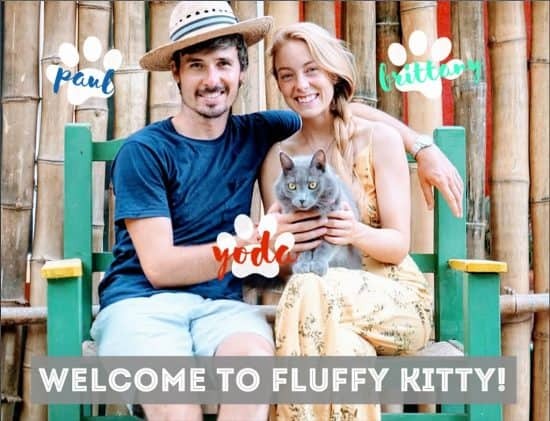 Whether you just got your new companion or you are a distinguished cat lover, you will find what you need on Fluffy Kitty! What do we categorize as cat furniture? It can be anything from a cat tree to a cat carrier, from a cat water bottle stand to a cat climbing shelf. Almost everything you can dream about is available! However, some of them are more useful than others. 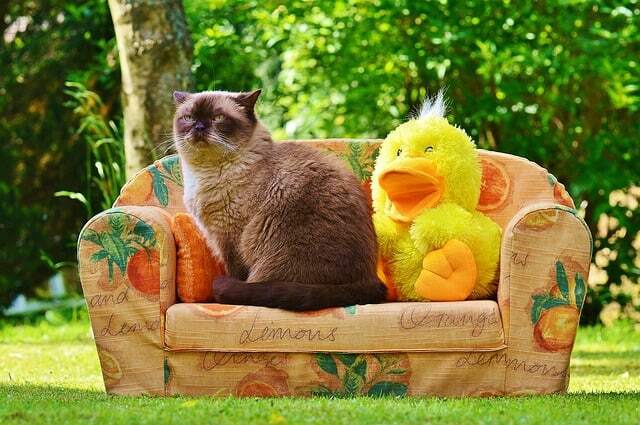 This is why it’s all about selecting the most useful furniture your cat will need to be happy. Our selection is quite simple. We do believe the 5 items we selected are highly essential to your cat’s happiness. If you are looking for something in particular that we have (not yet) reviewed, please send us a request! We strive to review every interesting accessory we think can improve your cat’s environment, so do not hesitate to wander around our website and let us know what you think. For your cat: It’s part of his normal behavior. He needs to scratch as it enables him to leave his trace where he does it. The pheromones left after a scratch act as a landmark for him and makes him feel home. His well being and happiness depend on it. For you: You just save your furniture from being scratched (at least a little). 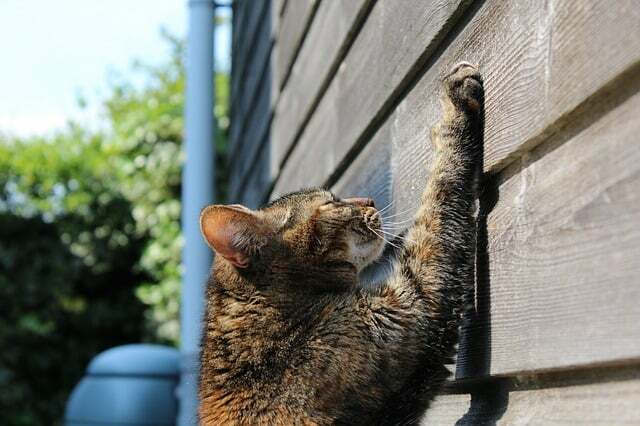 Your cat will probably try to scratch anywhere he can but if you are persistent enough, his scratching post will end up being the only place he does it on a daily basis. Our Yoda loves his scratching post and has now a little greeting ritual each time we come back home. After letting us pet him, he runs to his scratching post and scratches for a few seconds. It’s automatic! It’s very funny and also makes us happy each time. 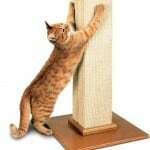 For your cat: Your cat is always looking outside or scratching everything he finds? It’s normal, he needs to stay busy or he will get bored! To evacuate his frustration of not being able to hunt, a cat tree is a perfect tool. Your cat can have fun and enjoy ladders, platforms, ropes, etc. Everything is a pretext to play and stay in shape. 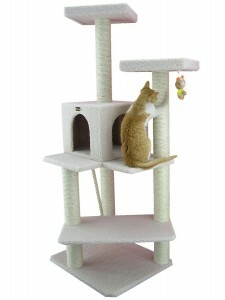 Most cat trees include scratching posts so you kill to birds with one stone. For you: Keeping your cap happy and entertained throughout the day with a cat tree will save you some precious minutes of sleep at night or in the morning. Your cat will be less excited in the moments you need some calm. 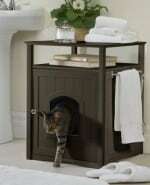 For your cat: It provides a safe and quiet place for your cat to go potty. For you: A cat litter box furniture is really useful and it’s pretty simple to understand why. It hides a messy cat litter box while providing shelf space and many other accessories. 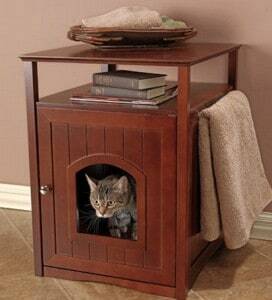 We love litter box furniture because it easily integrates in your house and that’s priceless! Many different options exist depending on your taste and the style of your house. For your cat: No, of course your cat does not have to stay home and lonely while you are gone. Depending on your needs, the cat carrier is perfectly designed to embrace your cat’s needs so you can take him/her with you on the road wherever you need to go. With carriers, your cat can be carried in a safe and comfortable place. They will love it! For you: You want to travel but cannot leave without the beast? This is where the carrier is useful! For small or long distances, for car or plane travel, the cat carrier is the essential tool to carry your cat everywhere! Make sure you are aware of cat sedation for travel (and why not to do it). 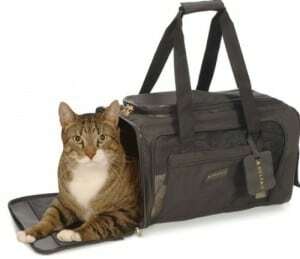 Read more about the best cat carriers in our in-depth review. For your cat: Your cat needs to remain healthy while you are gone for a little while. Your cat does not know when to stop eating. He/She will only stop when full. 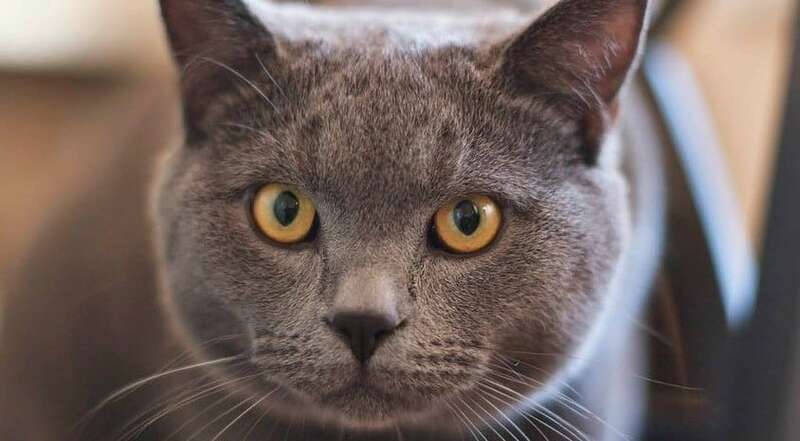 With an automatic food dispenser designed to distribute food in appropriate proportions, your cat can maintain a healthy diet every day that will not leave him/her sick from overeating. 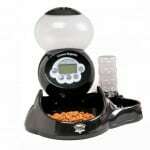 For you: A convenient and hassle-free way to provide your cat with food every day while you are gone. The first time we left Yoda for a weekend, we bought a cat dispenser that was not automatic. As soon as we put the food down before leaving he started eating even though it was not his usual meal time. The automatic food dispenser prevents just that. 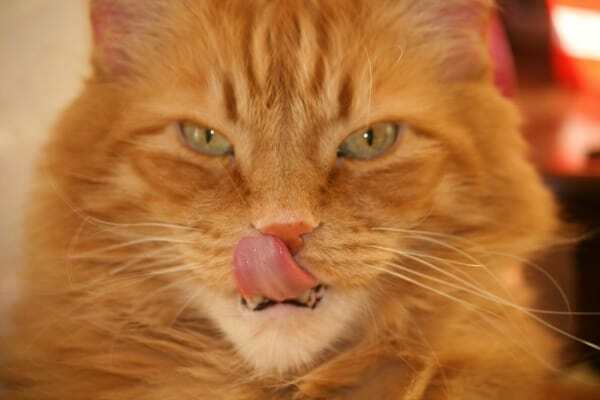 You are sure your cat eats the right amount at the right time. Check out our guide on the best automatic cat feeder and the best water fountain. Experience: Customer reviews and tests are deeply analyzed and summarized to give you a clear opinion. Research: We explore the web, pet stores, magazines, news articles, and vet sources to provide you with the freshest and most accurate information about the product we review. Personal: Our personal advice and experiences or the advice of people we know that have tested products. Where to Find the Best Cat Furniture? There is really plenty of choices out there for you to find the best cat furniture that you desire. 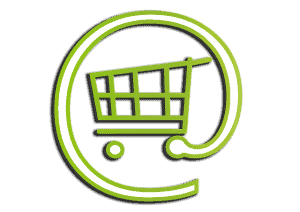 We believe it is sometimes best to buy online where you can find a hands-on review of customers that have tested the product you want. It is also very convenient as you can compare items and see if you can get your product cheaper. Amazon has always been one of the best places to shop for us so the products we will review will probably be available on the platform for your convenience. If it is not, we will make sure to indicate where you can find it. From time to time, our posts may contain affiliate links. If you purchase a product through an affiliate link, your cost will be the same but Fluffy Kitty will receive a small commission. Your support is greatly appreciated and helps us develop our blog, keep on the great work and spread our message! What Makes Your Cat So Special? As for any other pet, once you have a cat it is for life. Sooner or later it becomes part of the family and you treat it as such! As if you hadn’t already guessed, your kitty is much more than a cute, cuddly ball of fur! If you are a parent, you already know how good it feels to provide for your child and make them safe and happy. If you are not a parent, like me (one day though! ), there are millions of furry friends to make us parents! We take pride in treating and providing for our fur-baby as if it were our child – he’s family! We imagine you feel the same way about your furry loved ones. For all that your kitty does for you (mentally, physically and emotionally!) don’t you think they deserve good treatment for all their love? The answer is yes. And trust me, they know when you buy something for them and bring it home! The first cat stand we purchased for Yoda was proof. The minute we brought it in the house, he ran to it and began scratching on the post and went crazy playing with the toy that dangled. He was purring like an engine! We knew he was so happy. He has loved his cat stand ever since. 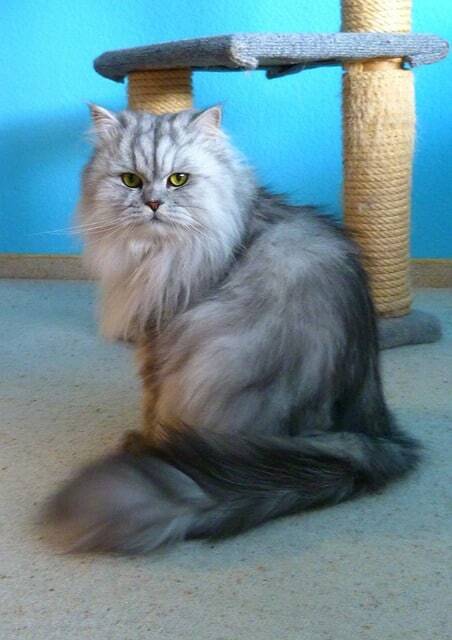 Thank you so much for following us on Fluffy Kitty! We wish you the best adventures with your cat and we are glad if you make us a part of it! Thank you for sharing on Facebook, Twitter and Google+, Instagram, and Pinterest. If you have any questions or requests, please do not hesitate to let us know through our contact form. We will be more than happy to help! Hello, I just stumbled upon your website through a link you shared on Twitter and after reading your first page and some articles, I was curious to know if maybe you two were planning on doing a DIY for some of the stuff you write about like cat litter box furniture, for example? I know several people, including myself, who would be interested in learning ! In any case, keep up the good work. Hello Chloe! Thank you very much for your support 🙂 DIY is on its way! We are still settling down in our new place in Nepal so it will probably be a few more weeks but it will be here soon! Stay tuned for new articles! Very interesting and enjoyable to read , Good job !